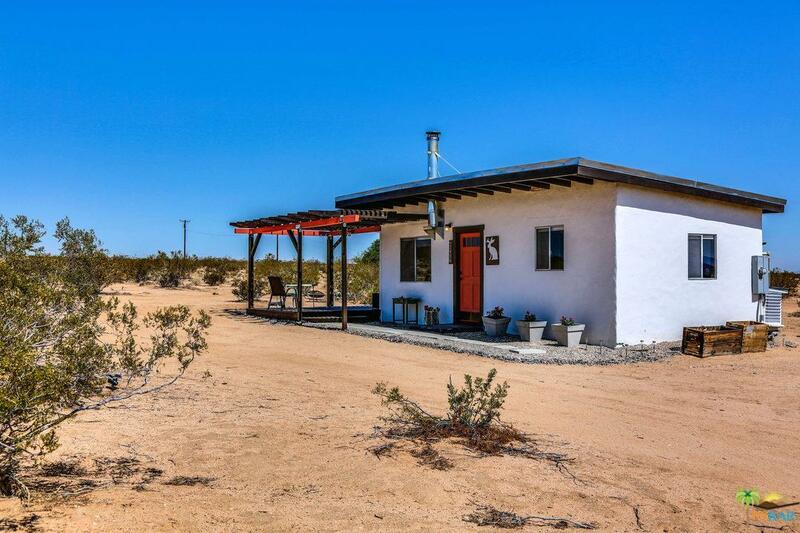 Off the grid 2 bedroom, 1 bath Joshua Tree cabin with a studio on 5 acres. Stunning views of San Jacinto and San Gorgornio. 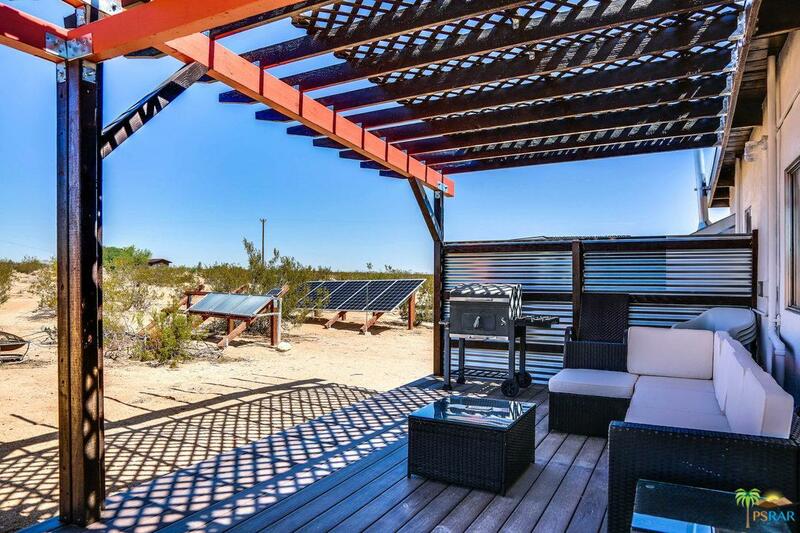 Solar powered with battery back up, hot water solar panels plus propane for the hybrid water heater system, 2,500 gallon water tank, Air Conditioning, septic. 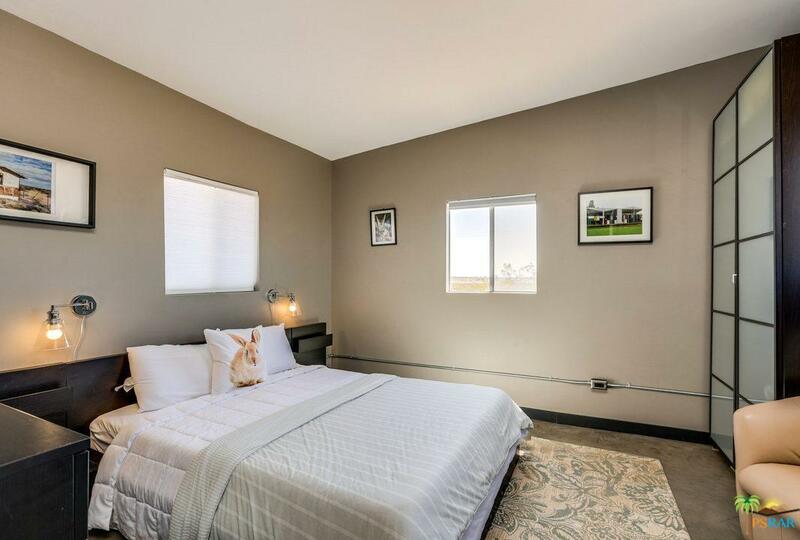 Studio is detached and has an outdoor shower. 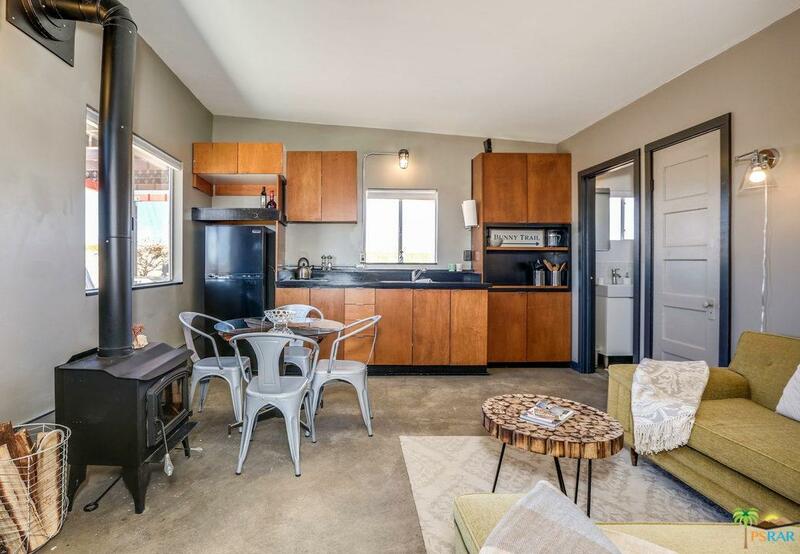 The cabin features polished concrete floors, refrigerator, cook top, wood burning stove and satellite wifi and tv. Perfect weekend retreat. Furniture available outside of escrow. The storage container is excluded. Sold by Nonmember Agentdefault BRE#01715823 of Nonmember Officedefault.